At this year’s AcademyHealth Concordium, three highly-regarded physicians, each leading Accountable Care Organization (ACO) efforts at prominent academic medical centers, shared insights garnered from their experiences generating actionable data, as well as their own reasons for why such data is necessary. Dr. William Borden, Associate Professor of Medicine and Director of Healthcare Delivery Transformation at George Washington University, shared how GWU has worked over the past two years to build a customized analytics system to better understand their data. While they are still pursuing ways to refine patient-reported data and discrete socioeconomic data, Borden notes that GWU now has a better understanding of its own operational needs, and what questions need to be asked to improve further. As Vice President for Population Health Management at Partners HealthCare in Boston, Dr. Sreekanth Chaguturu leads his organization’s ACO efforts. Chaguturu emphasizes that no matter how focused your organization is on providing care, you will always need a strong data management system to ensure that everything is working optimally. Specifically, Chaguturu recommends ensuring that all assets are being utilized to their full potential. Keep everyone informed, and never stop trying to improve your processes to maximize communication. At Mount Sinai Health Partners in New York, Dr. Lindsay Jubel is the Medical Director of Population Health, as well as an Assistant Professor of Medicine at the Icahn School of Medicine. Junbelt shares how Mount Sinai has been transitioning from a fee-for-service model to a population health center. Stressing the need for efficient means of generating data-based reports, Junbelt emphasizes that the timeline of data is imperative. Rather than chasing their own tails to locate records, Mount Sinai is adapting to a process of collecting real-time data while interacting with patients, which has led to more innovation for physicians on the front lines. As the healthcare industry continues to move toward quality-based care, and with increasing pressure to meet rigorous standards, having a solid, turnkey analytics system to support your organization is crucial. Salient is enabling ACOs to rapidly evaluate, remediate, and continuously improve overall population healthcare, financial performance, and the quality of medical services. Let us help transform your ACO with the most accurate, pointed analyses that will give your providers and administrators the most accurate knowledge of where to apply their focus. 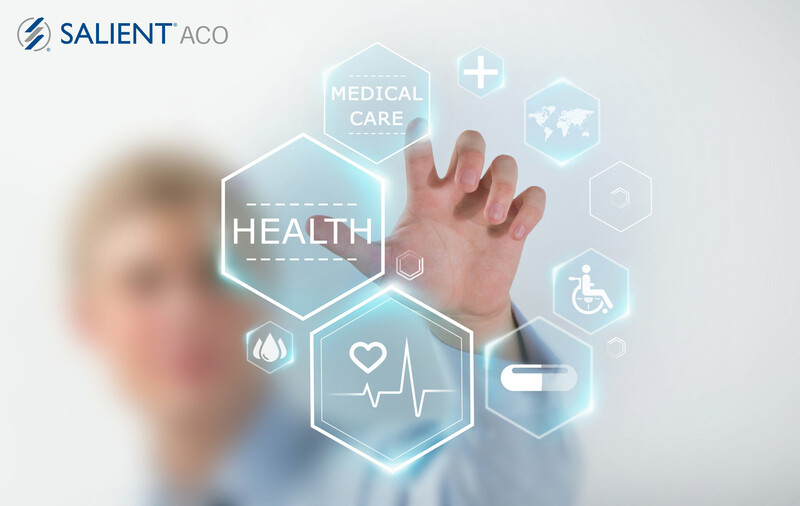 Learn more about Salient ACO.